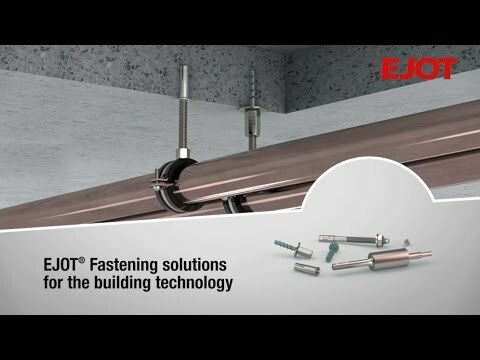 EJOT through bolts are the economic solution for the installation of metal and wooden constructions into concrete (facade, ceiling and floor). They meet high requirements for load capacity and safety. The broad range of applications and the scope of dimensions make these through bolts a cost-effective all-rounder. The mortar cartridge is the ideal solution for the embedment of anchor rods in indoor and outdoor areas. Especially when high demands are placed on load-carrying capacity and safety. The EJOT mortar cartridge allows small center and edge distances. 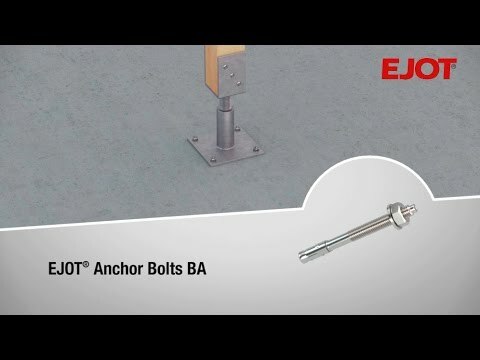 For the usage as a multiple fastener for non-supporting systems in cracked and non-cracked concrete and pre-stressed hollow core slabs (see ETA-16/0123), EJOT recommends the screw anchors 6x40 A/F13 and 6x35 vz M8/M10. Are you looking for fastening solutions for building infrastructures? The drop-in anchor LAL+ is particularly suitable for the use as a multiple fastener of non-supporting systems in cracked and non-cracked concrete. You can fix e.g. suspension systems, pipelines, air ducts, sprinkler systems, cable racks, machines, brackets and ceiling beams (see ETA 13/0441). The ceiling nail T-DN 6-35 is suitable for the usage as a multiple fastener of non-supporting systems in concrete. It is approved for concrete strengths from C20/25 to C50/60.